Our professional team is excited to serve you with a smile, so you can feel good about your smile! We treat our patients like family and provide you with quality, affordable dental care. We want you to leave our office looking and feeling amazing. Dr. Quyen Lee has served her community for 12 years, and her focus will always be on her patients. She enjoys helping people from the local area. Dr. Lee will help you feel comfortable and welcome every time you visit our office. With consistently top reviews from her patients, you know you’re in good hands with Dr. Lee! Many of the procedures our patients need can be done right here in our office. We accept many insurances, including Medicaid and CHIP. 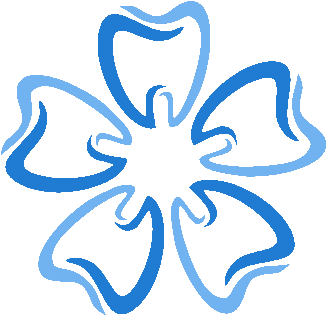 We would love to help you with your dental needs. Call our office today! This is my first time there my son Zachary. I had appointments for my other two sons already . Dr. Lee is an amazing dentist who really cares for her patients. She made my son's teeth amazingly white for his prom. She is spending extra time on my son's when an urgent issue has arisen. I highly recommend her for any age group. Her office staff are also very helpful and friendly! You are guaranteed to like this office if you give her a try! I love QTL Dental! As soon as you walk in the door it feels like home. Each and every member of the staff is awsome! You don't feel like a patient, you feel like family. I recommend it ALL the way! QTL Dental has a warm, welcoming atmosphere. They had great service and treated me and my daughter like family. My teeth were cared for better than I've ever felt over the last 40 years. Dr. Lee and staff are really good about explaining the process of how to take care of your teeth so you have many more years of healthy teeth. Thank you QTL Dental!! Many people cringe at the words “root canal,” but we don’t want you to, here! Our office will help you fix infected and damaged teeth with gentle and comfortable care. Get ready for a pain-free life again by calling our office to schedule an appointment. At QTL Dental, we want your whole family to feel relaxed and comfortable. We know the dentist can cause anxiety for your child, but we will make your child’s visit fun and relaxing. We want you to be at ease, too, which is why we make our office feel more like a home than a hospital. We care about your health, and want you to have a glowing, confident smile! Wisdom teeth can often cause problems. We don’t want you to suffer from the pains and annoyances of teeth that no longer fit in your mouth. Dr. Lee is ready to give you a consultation for getting your wisdom teeth removed. It’s important for you to get your teeth examined and cleaned every six months. We also want to help you with any other dental issues you may have. Don’t put off taking care of problems like gum disease, cracked or broken teeth, or tooth pain. Call our office so Dr. Lee can help you today.